Our organization, Dreams to be Heard, focus on creating a community for students who are struggling to reach their higher education goals. Dreams to be Heard provide a support system for AB-540 or any students in struggle by providing support and adequate information according to their needs, such as, but not limited to scholarship and internship opportunities. 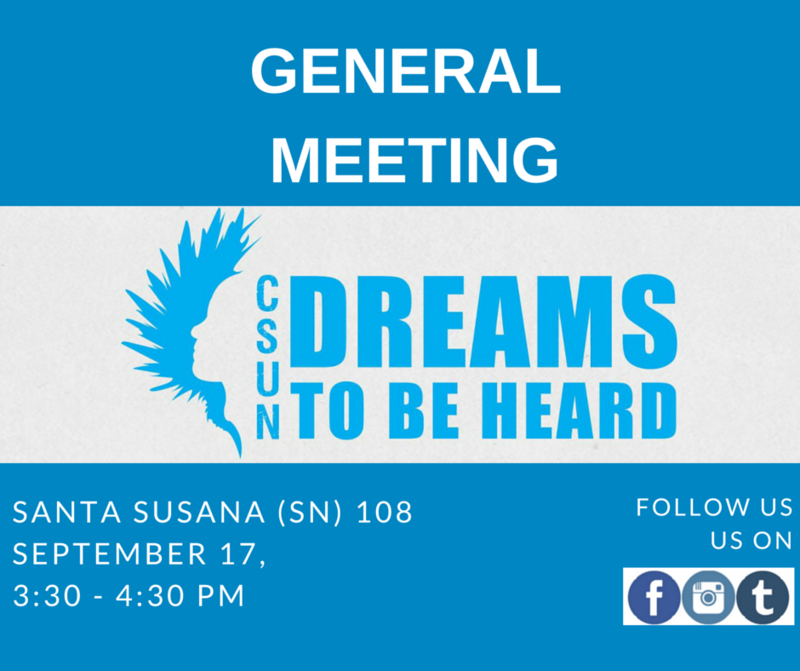 As a community we create consciousness throughout campus by educating students and faculty about the AB-540 legislation, the DREAM Act, and/or any other legislation that could potentially impact their lives. We intend to network with on and off-campus organizations that support our goals and struggles.